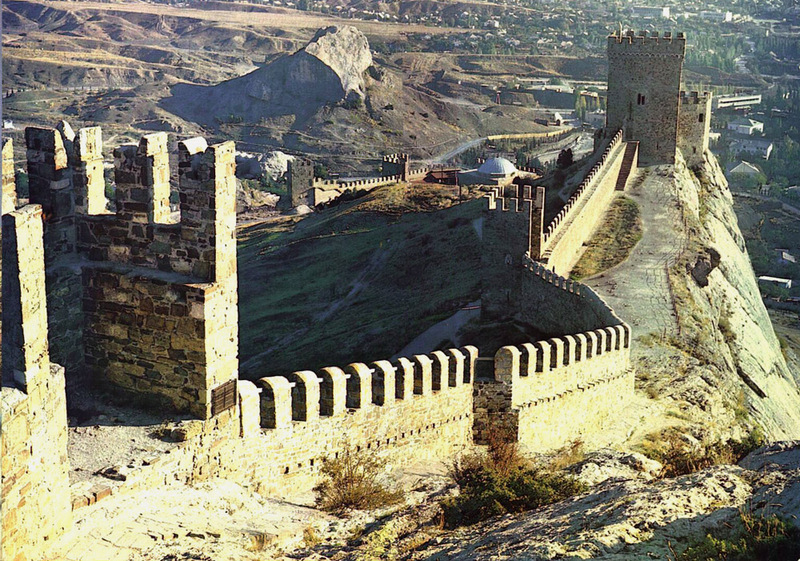 Керкинитида Евпатория история с древних времен, до наших дней Отдых и лечение в Евпатории » О Крыме - More about the Crimea. 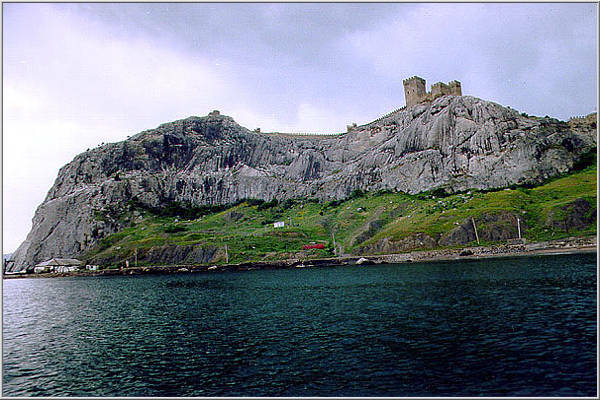 » The Sudak fortress. 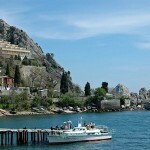 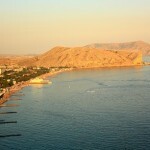 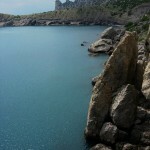 Sudak is a small historic town located in Crimea. 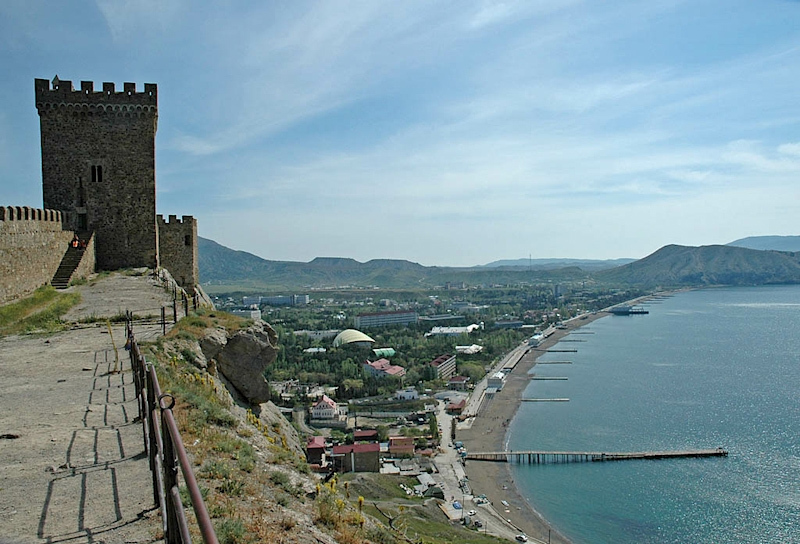 Today it is a popular resort, best known for its Genoese fortress, the best preserved on the northern shore of the Black Sea. 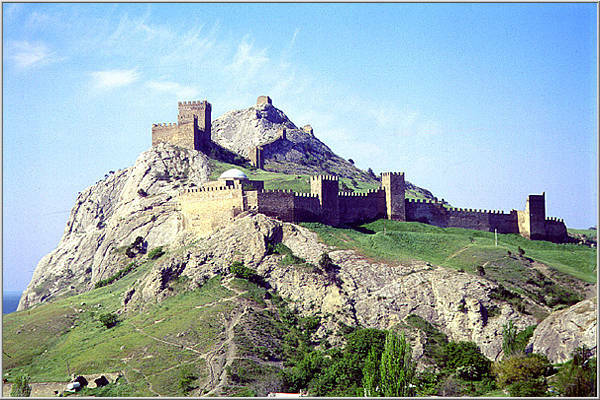 The Sudak fortress is an outstanding monument of fortification architecture of the 14-15th centuries. 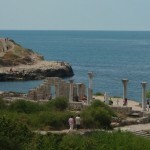 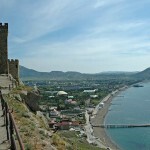 It was built by the Genoese who settled in Feodosia and began to develop the Black Sea Coast in the XIII century. 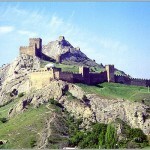 Enlarging their dominion they seized Soldaia (later name Sudak) in 1365. 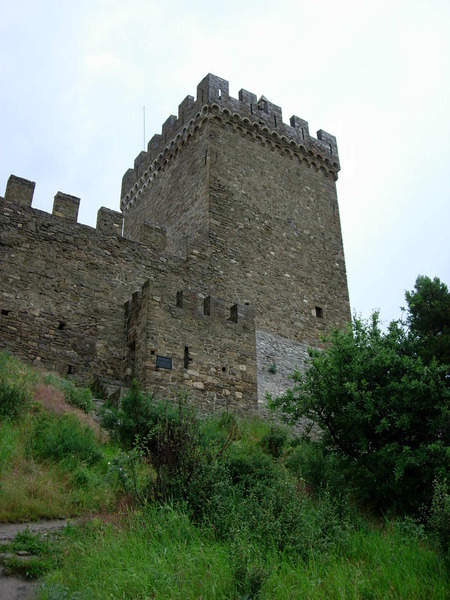 To consolidate their power the Genoese built mighty fortresses. 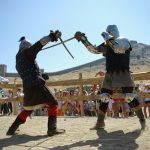 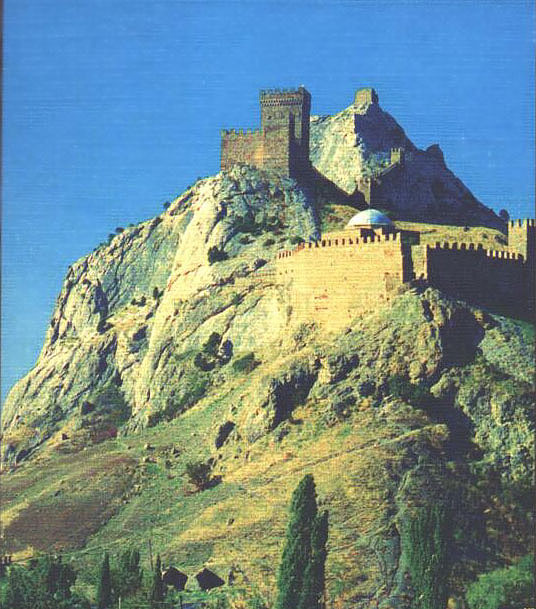 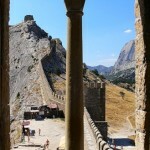 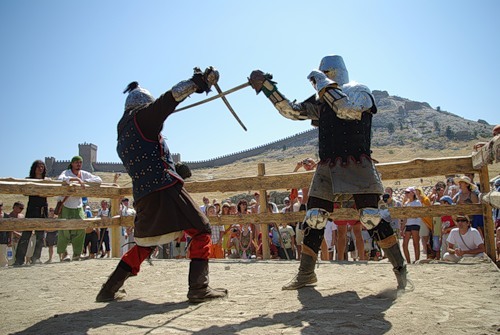 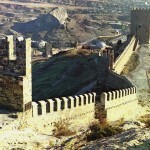 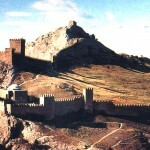 One of the major ones was the fortress in Sudak, built from 1371 to 1469. 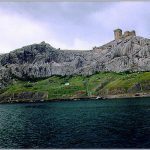 It stood high on Krepostnaya Mount (Fortress mount)which from the south and east precipitated abruptly over the sea and the coast. 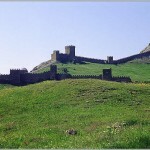 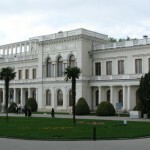 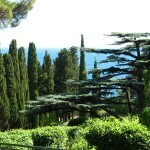 The fortress occupied a territory of 29.5 hectares. 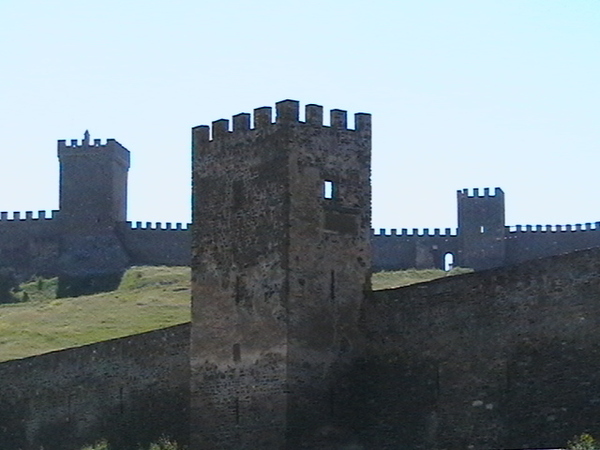 The lower tier of the fortifications consisted of massive walls with merlons and 14 battle towers. 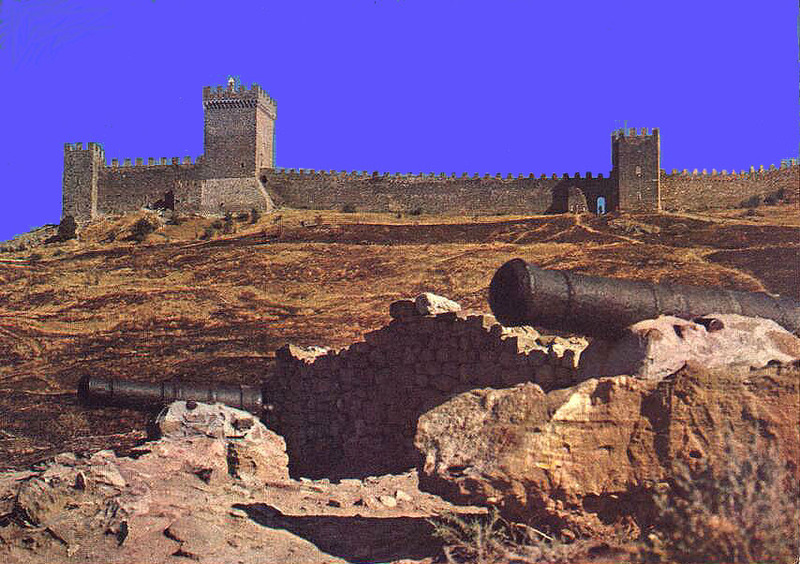 To towers were four walled, one of them was situated at the Consular Castle and another Tower, at the exit from the port side of the city. 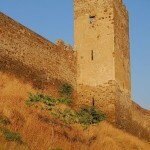 The design of the towers is a bright example of European architecture. 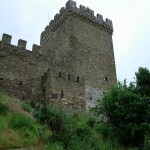 The composition of some parts, the ornaments are the examples of high building culture of the architects. 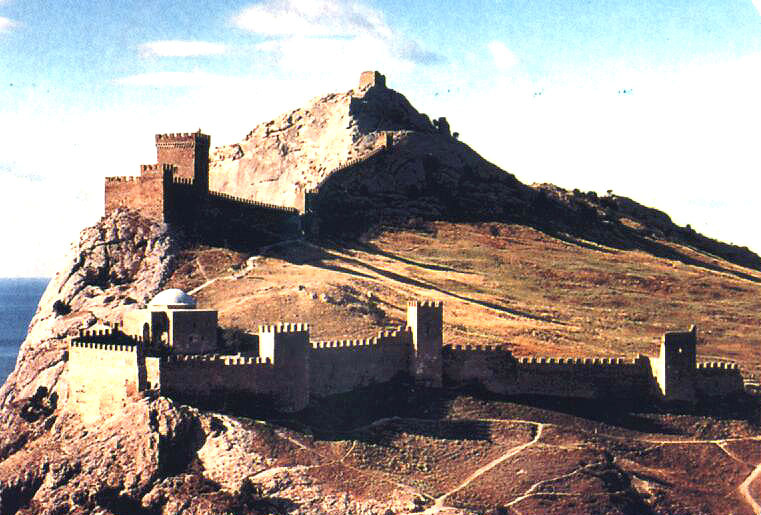 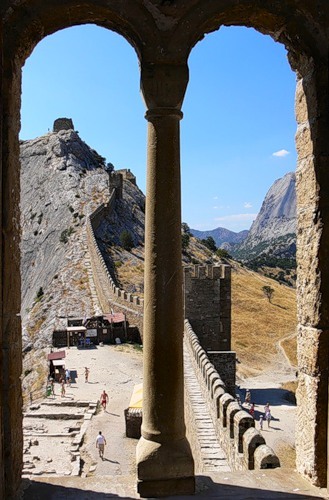 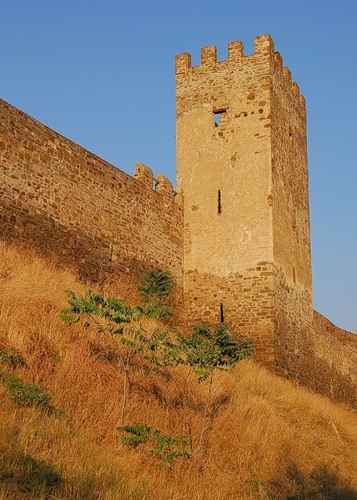 The towers of the Sudak fortress are analogous to those of Southern Italy by design, composition and decoration. 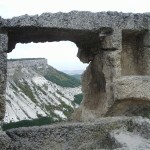 Inside there were streets with dwelling houses and public buildings. 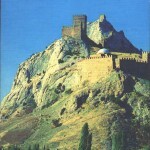 From the latter the mosque, the church, a cistern and a warehouse have remained. 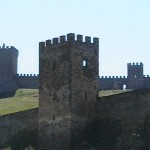 The upper tier included the Consular Castle and a fortification wall with towers. 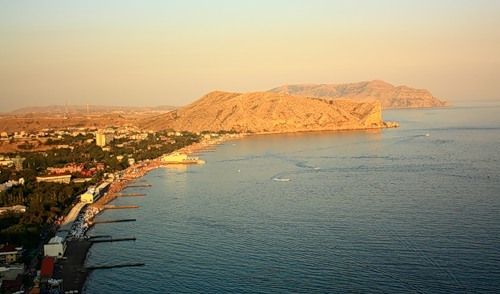 The port and densely populated suburbs spread beyond the walls. 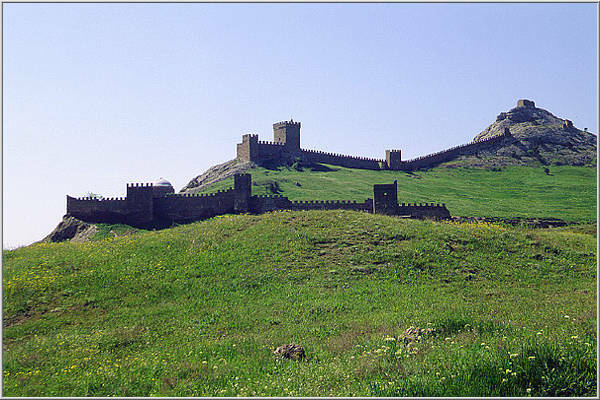 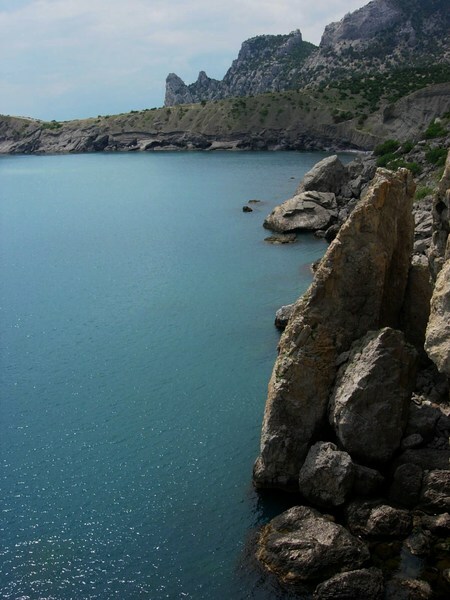 The Sudak Fortress is a unique monument of history and architecture is under protection of the state. 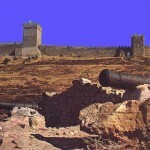 The works on restoration and conservation of the monuments are being conducted here as well as the archaeological excavations.